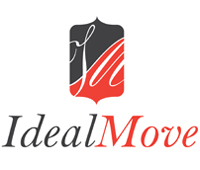 This guide will help you through the process of renting out your property with Ideal Move. We will visit your property and determine how much you could rent your property for. This is called a rental appraisal, where many factors will be included that will affect the rental income. We understand that you want the maximum amount achievable for your property and we will strive to get that for you. You will then need to decide what level of involvement you would like us to have. We have 3 different property management services: Let Only, Rent Collection and Fully Managed services. Please ask us for more details, lots of tenants, especially professional, corporate tenants, look for fully managed properties. Now is the time to make sure that your property is ready for photos and viewings. Do you have a leaky tap or a whole in your wallpaper, then get it fixed! You should keep your property clean and clutter free for the entire duration. If you have dated décor, it might be an idea to update the walls with neutral colours. Make sure that you have all the relevant Safety Certificates. 3) Every property needs, by law, to have at least one smoke alarm installed on every storey of the property and a carbon monoxide alarm in any room containing a solid fuel burning appliance. These will need to be tested before the start of every new tenancy. Please have a look at this link from the GOV website for more information. So, you have completed the outstanding work needed on your property, you’ve decluttered the place, you have the necessary Safety Certificates and you have your alarms fitted, now is the time to get professional photos, a floor plan and a description completed so we can start to market your property. We will do this through a couple of ways; on our website and through the giants of web portals (zoopla, right move etc.). You will need to tell us what you are looking for in a tenant and if you will consider pets, DSS tenants etc. We have found a tenant that you are happy with, perfect! Now we will carry out the essential checks i.e. Reference checks, credit check etc. Once we gather all of this information, we will pass it on to you and then you will have the final say on whether you would like to proceed or not. Once we have your approval to go ahead, we will finalise the paper work including the tenancy agreement. We will then also collect the first month’s rental and deposit, which will be registered with a government approved deposit scheme. An inventory and condition report will then be arranged with a walk through with the tenant and have both parties sign both reports (we will sign on your behalf), this is a mandatory requirement should the need for this be needed at the end of the tenancy. The tenants move in – you are now a Landlord – congratulations!